At 12:30pm on June 1-2017, Lev Frid spotted an immature Short-tailed Albatross during a pelagic run from the Whale Centre out of Tofino. 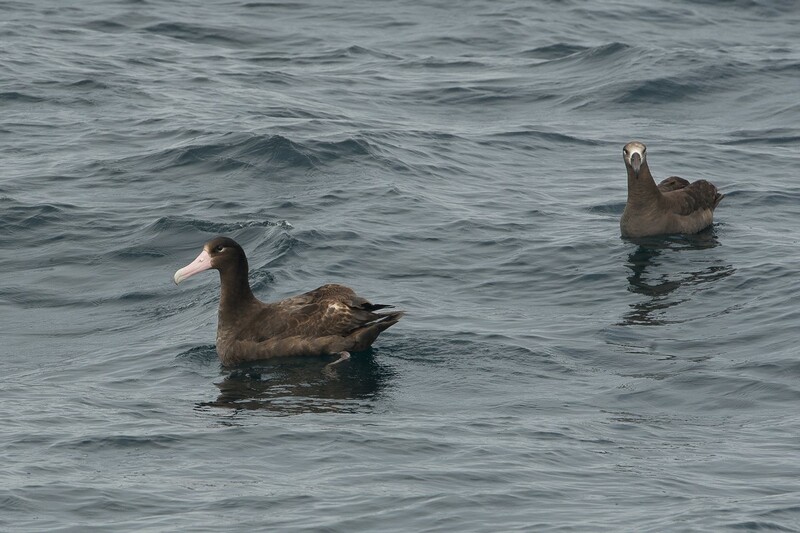 The bird was 35 nautical miles SSW of Tofino in a flock of Black-footed Alabatrosses. 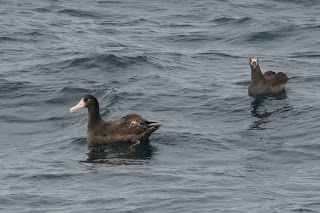 Captain John Forde was able to obtain a photo of the bird, as it sat on the water. Multiple observers, who were part of an Eagle-Eye birding tour, were able to observe the bird until 1:15pm when it flew by the boat and disappeared.